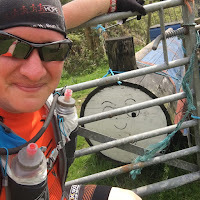 Ultra Running Matelot: Hope24 2016 - "A very special type of 24 hour endurance event." Hope24 2016 - "A very special type of 24 hour endurance event." For me this always has a special place in my running heart, it's sometimes difficult to explain why a 24 hour event would be that special especially when there are other great versions out there. 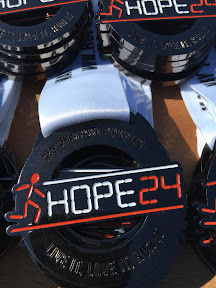 However Hope24 is a little bit more than another 24 hour running event. Is it because it's not organised by a business or company? Is it because it's organised by one man who manages to seduce the running community in to help him create the event? There are many factors that could be considered but by being a small part of it, I understand why this small non profit charity event won 3 National Running Awards this year. Yes 3, it became the Best Trail Event (under 1000), Best New Event and was 3rd Best Charity event. 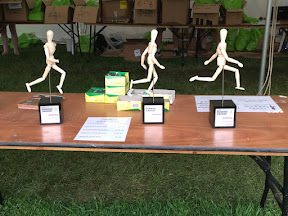 3rd, is fantastic when the winner was Race for Life an event that is national and has 100,000's of runners all over attend one of their events and Hope24 last year only had 450 ish in total. That alone shows you already why this has become a special event in the running calendar. This year was no different when it came down to the effort put into setting up. The days before I along with a couple other local runners went down and helped Danny Slay set up the course and the arena, marking out a slightly modified route which is each is slightly different to the previous years to keep it fresh and keep those coming back wanting more. After walking setting up plenty of it, and later running it during the event I can tell you honestly, it was a stunningly tough course which was slightly tougher than the previous years. Just setting it all up, the buzz we were having about the event was already showing between the 4 of us. By Friday morning, we had pretty much set up everything which previously we'd still be marking things out. After a few beers in the Friday evening catching up with friends and listening to the band laid on for entertainment I decided this year to sleep at home to try and get a good night sleep prior, however with my 5 year old son, this was but only a nice thought and I didn't get a sleep I wanted. I arrived early Saturday morning at the arena and wow! The place was heaving with runners and supporters. I knew we had more numbers this year but the atmosphere was electric. Bimbling around chatting to people and seeing others there were many nervous and excited people about. By now Colin and Elisabet Barnes (myRaceKit) who have been very supportive to me had arrived with their pop up shop. They love the event are big supporters of it. 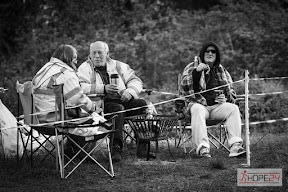 It was great to catch up with them and have a good natter, as I knew I'd not get a chance later on. These are two of the finest athletes and human beings I know and I know a lot of people take my word. 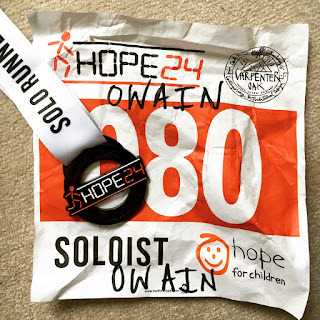 This year was also a first for Hope24 as they were hosting two children races a 2.4km run and a2.4 mile run depending on the age of the children. 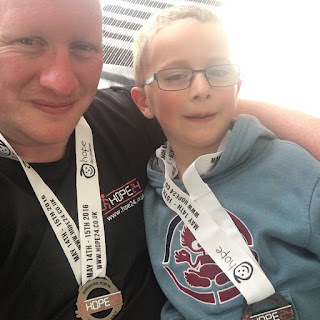 My son who's started to get the running bug big time and has already run a few parkruns now, weeks before decided he would actually like to run the race. So the 2.4km was his first official race. Despite only recovering well enough to go to school the day before from days of fever he still ran. Despite coming last it didn't matter, the atmosphere for him was electric. If you have ever seen an Iron Man event where the winner is high fiving everyone on both sides of the finishing straight, this was my boy. He was milking it big style and it made me a very proud dad I can tell you! I was even given the medal to present to him, trying not to well up was difficult but I managed it. 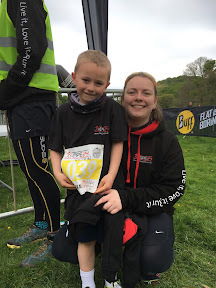 My son and wife before his race start. I was very proud. Soon after all the runners from soloists to team relayers were gathered on the bank behind the race village for a group photo. It's mad that from the 1st year of just over 100 runners in a small group photo to around 600 runners which 200 were soloists were now gathering to do the same thing. A quick thank you and race briefing was given by Danny and his partner in crime Pete Drummond (who like Danny is another ultra runner) as they prepare everyone for the start. Soon enough the runners took their place on the starting line, this that line was missing the two previous winners Richard Keefe (2014) and Matt Biscoe (2015 and course record holder 135 miles). They were however there in support of the event and the runners, like true gents. I'm not going to go into too much of my own run as I don't feel the need to, I will briefly mention up until 15.5 hours and 10 laps (50 Miles) I was feeling fantastic but I had shredded the bottom of my feet (something I need to find out why) and I couldn't continue on, but I wasn't gutted just annoyed at my feet as I felt good for another 20/25 miles and I was mentally on my A game. I live to run another day. The race started with the horn and clock started to tick down! 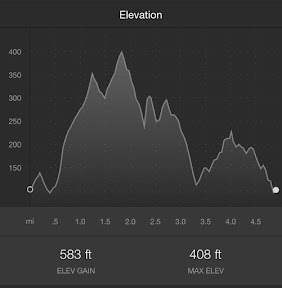 As mentioned previously the course was definitely tougher, in the same distance covered in the 24 hours last year there was another 1000ft of climb in total I covered on 2015. The start took us around the arena where it was a slight decline until you reached the first bridge to cross. Low and behold one of the greatest marshals I have ever met and now I can say a good friend Captain Pink Beard himself Kevin Guild stood proudly. Every year he has stood there for the whole day, night and day supporting every runner who passes him by, offering support and even charging up phones so I hear this year. One thing this event does well and that is marshal! This year even more people came forward to help out which shows what sort of community event it has become. Turning right from Kevin took you straight up the first hill, which after a few laps felt it went on further than 1.5 miles. It wasn't steep but it wasn't a slightly incline! Once you reached Thomas (or Gordon the debate is still out on this one) the Tank you have a slight decline so a bit of a respite as you made your way to the next marshal point. With the well known course landmark is it Thomas or Gordon? 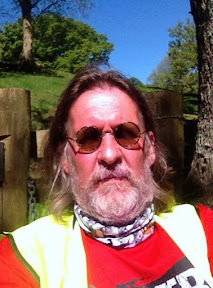 Upon reaching these forever cheerful and motivating marshals which were rotated about throughout the 24 hours, you turned up another climb to the bluebell woods, this is a stunning section of the course. Eventually what went up must come down and we soon ran down a steep technical decline. The route from the bottom then takes you along side the river towards the shooting ground, this year we didn't go through the shooting ground, but we went up the next steep climb which is around 2.5 miles in to the course, until you reach the marshals at the top again. Once you've caught your breath a nice downhill section before one more little climb. Just before you got to 3 miles you started the long downhill back towards the arena and this was a mixture of track and grass with the grass bits at a slight camber. Once over the bridge at the bottom you go back through the arena however as each lap you do you notice it is a very slight incline and you start to feel it each lap heading into the next section of woods, where you then greeted by another group of marshals who spent the entire 24hrs camped there, cheering everyone on, watering them, feeding them etc. I say group because they're made up of my wife, son and my in laws. All the runners felt this every lap! Their CP soon became known as "Disco Corner" and one of the runners favourite parts of the course, sometimes only second to the finish. My wife even came for a run with me around the next section which took you over a bridge up and zig zag incline and then down and around back to the CP. 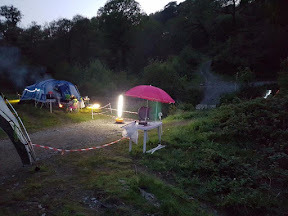 Little do people know how much my family put into this marshal point, with just a event shelter and wobble light provided, all the food, water, additional lighting, music, generator which ran the music and the wobble light (and fuel) as well as morale and support for the 24 hours. (Next year my wife has decided she wants to run the event for the first time so all this won't be provided by my family next year). From there you hankered left up up another small climb into another section of the woods which is new this year following a trail will took you above the arena, you could see all the lights and partying going on down below. Eventually you came down a grass bank and into the arena on to the finishing straight. The whole atmosphere in the arena was out of this world, the supporters camping, around wood fires, drinking their wines cheering everyone on, the other runners supporting everyone in and around the course, is still something I have yet tried to find close to at other events. 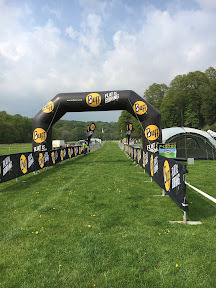 Now let's look at other aspects of this event, the cost was £45 across the board for every runner, which makes it one of the cheapest endurance events out there and most definitely the cheapest 24 hour event in the UK currently. You get a nice tech t-shirt, a fantastic medal, some little bits of goodies and we had a bottle of beer at the end. Additionally you could buy a Hoodie and also a limited edition Hope24 Buff original (those who know me know I love my Buff's). Also in the entry you got to run a very beautiful tough well marked, well marshalled course with some amazing people! Pete kept everyone going as MC all 24 hours with his music and commentary. The weather was hot during the day and Baltic during the night (cars were frozen solid and frost on the ground) and then red hot again once the sun was up. People were putting some of the best if not thee best performances of their lives in. Friends of mine were running further than they have ever run before and I truly think it was down to the event for helping them do so. So far the event has raised over £12,000 for the charity Hope for Children which the charity themselves even had a team of 4 running. It's an event I have been looking forward too all year, and I am already waiting for the registration to open for next year as is many others. With a limit of 750 runners I would be very surprised if it doesn't reach it this year and it won't be long before some sort of waiting list or ballot would be needed as it's popularity rises. With this event and Mudcrew's Events down here in the South West we are starting to have some great races in this part of the world, which means those who do live locally finally do not have to travel to get to a great event. The fact people are willing to travel from the most northerly part of the UK as well as abroad shows that down here we put on some great events and long may it continue! 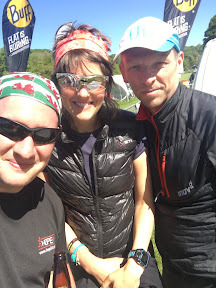 For me this event was about training, and until my feet issues everything went well, the kit I used from my sponsors X-Bionic UK and Sunwise worked for me very well in the day and night. I can't thank my sponsors enough, they continue to support my efforts and the kit they provide is the best. 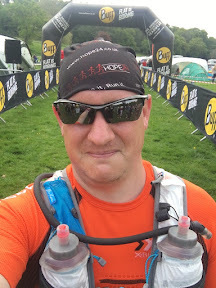 So despite me only running for 15.5 hours I still very pleased how things are going, and now starting to focus on my next race which is the Classic Quarter 44 in June.